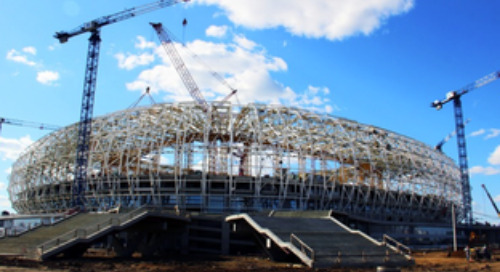 Complementary construction on a busy railway station used by 50,000+ passengers every day, project size and continuous railroad traffic present the Tripla construction site with challenges that are easier to overcome with good software , collaboration and open BIM approach. BIM-based workflows reduces costs and visualizations making it easier to understand the end result. Tripla in Central Pasila is one of Finland's largest construction sites – actually five construction sites put together. The gross area of the site totals 350,000 m2, equaling 50 soccer fields, and more than 1,000 people are working on the site during the most intensive construction phase. "In a way, we have many separate construction sites here: the parking, shopping center, station, apartments, office blocks, and hotel. Although they are separate, all Building Information Models use the same coordinate system and are compatible," says Janne Salin, BIM Specialist at YIT Construction Ltd. YIT is the general contractor for Tripla. Tripla is built in the middle of the city in a challenging environment. The project is carried out in and above a busy railroad traffic area, which makes construction work more challenging. A busy station area sets high requirements to safety issues: A worst-case scenario would be any train accident damaging the structures. Building on a working station also means that all passengers need to be guided to a temporary steel-structured station and overpasses. Because of the train traffic, some work has to be done at night. The new railway station building is partly complementary construction. The old Pasila station building was not completely demolished. YIT uses some of the old frame in the construction and modification work of the new station: the station building was demolished to the level of the existing station hall, and the structures of the lower part were retained, reinforced and repaired. The upper part of the station hall is built entirely as a new building. In Tripla, all design work is done with modeling tools. In the beginning of the project, the base of the old station and the excavated rock surface were laser scanned. 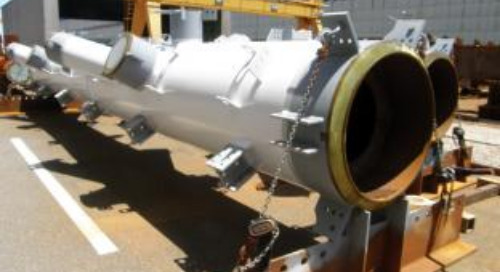 Based on laser scanning of the base, an inventory model was created, providing the project parties with comprehensive and accurate initial information for design. The initial building information model was also used to check how the new structures relate to the structures of the old station and while Tekla model enabled checking the need for things like additional excavation or extra support structures. The entire construction site has been modeled: The logistics subcontractor modeled the entire construction to better plan their own work. 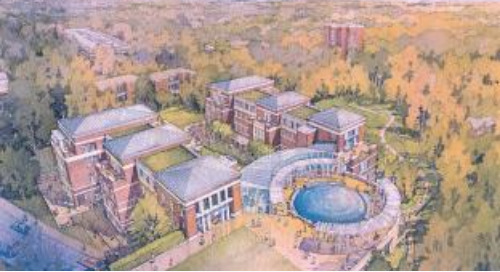 The architect's IFC model was utilized as the basis for this information model. 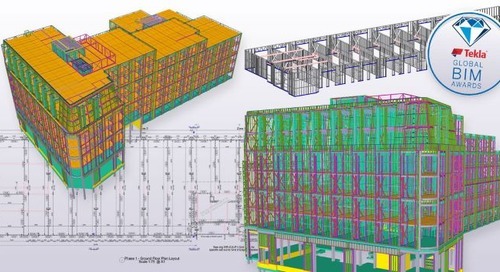 Building Information Models and the IFC file format are extensively used on the Tripla construction site, from initial design to the virtual presentation of the end product. As information flows smoothly from one software to another, models can be combined and used to verify things such as how various pipes, columns, and beams fit together in the combined model. In weekly meetings, the various project parties use the combined model to check how building technology and pipes crisscross inside the building and where they can find good paths for openings in the frame. If they detect issues or structural or technical clashes in the design, modifications to the designs can be agreed upon in the meeting. 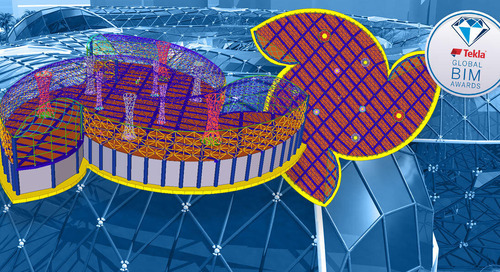 The use of Tekla Model Sharing has enhanced information transfer, as the construction site can check the situation in other Tekla Structures models, such as in the shopping center and parking structural models. IFC models and drawings always lag a little behind, but Tekla Model Sharing enables checking the real-time design situation. "We know how much Tripla will cost." The procurement organization of Tripla utilizes Building Information Models because they can be used to easily calculate things like the amount of building materials. BIM also helps the allocation of requests for quotations (RFQs) for different jobs. Models can be used for showing, for example, how brick laid walls are distributed and how complex is the brickwork. As work phases and material quantities are easy to calculate and visualize, this information can be used in procurement negotiations to get better, more accurate quotes. The numerical information can also be utilized in cost accounting to estimate how much a building element or entity will cost. 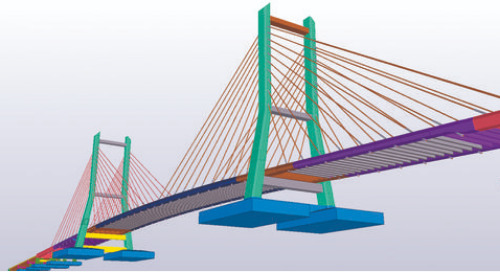 - "We have a good Tekla model and a lot of useful information in it. 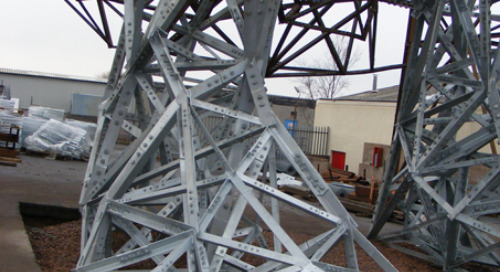 It provides us with the quantities, kilograms, concrete cubic meters, and square meters needed in cost calculations. The model provides quantities for the schedule, and the schedule and model can be linked to each other. This makes it easier to plan the work and communicate with subcontractors," Janne Salin explains and continues: "Without the model, we would have to spread out a large pile of drawings and use a ruler to measure the height and thickness of a column and tap a calculator to determine the required concrete volume. Using the model saves time." 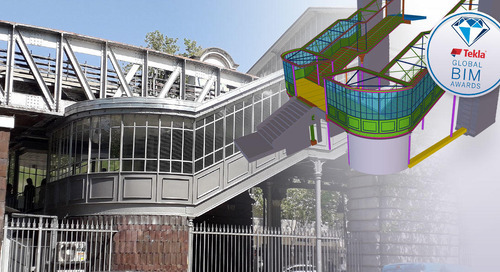 3D models have also been used to verify the feasibility of solutions, for example by examining the possible hauling routes of escalators into a building. The 3D models have also been imported to a virtual environment, which brings new ways of using designers' models. One application is that by wearing virtual glasses, you can virtually climb into one of the site's eight cranes and see what the site below looks like. The office space under construction is also presented with virtual glasses. Based on the architect's IFC model, a virtual environment has been created for presenting the premises to customers. Offices can be seen both empty and furnished with objects from a 3D content library. With the virtual environment and wearing the virtual glasses on the site, you can visualize what the finished space will look like. This is a major benefit for someone making a leasing decision, and for YIT, using their own models means that they don’t need to order numerous visualizations from visualization agencies. This is yet another cost-saving benefit. With a major project such as Tripla, it is crucial that software packages are compatible. The aim is that all parties involved in the project can use all the information the project's designers and contractors have produced can be used by. 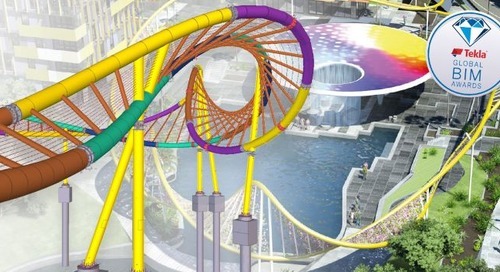 For many Tekla users, collaboration in construction projects creates many opportunities. And since you cannot cope with just one software solution in a construction project, the Open BIM approach is a key in successful building. Tripla is a good example of what a large site means for collaboration and open BIM approach. There are several design and architectural offices working on Tripla. The project is divided into four main sections, each of which has its own 3D models, such as the architect's model, the structural designer's models, and the HVAC and MEP models. There are almost 100 information models in total. The compatibility of such a great number of models is crucial for the project.